International sanctions by countries in Europe and Asia target the trade and transport of North American wood that may be infected with pinewood nematode, the cause of pine wilt disease. A new molecular diagnostics method developed by Natural Resources Canada to detect live pinewood nematode in wood caught the attention of forest health officials from around the world. “Scientists from countries with forests infested by pinewood nematode expressed a great deal of interest, as did those who are developing phytosanitary treatments,” says Canadian Forest Service Research Scientist Eric Allen, who presented the method’s preliminary results at the 2009 International Symposium on Pine Wilt Disease in Nanjing. Pinewood nematode is the microscopic roundworm that causes pine wilt disease. Native to North America, pinewood nematode rarely, if ever, affects North American tree species. However, it has caused serious damage in Asia and Portugal prompting quarantine regulations by concerned countries. In 1993, Europe banned imports of untreated softwood commodities from North America, resulting in significant decreases in markets. The new detection method, developed by Canadian Forest Service Molecular Biologist Isabel Leal and colleagues, allows forest health officials to analyse wood samples for messenger-RNA associated with pinewood nematode heat-shock proteins. Unlike DNA, which can survive in dead tissues for years, mRNA degrades after an organism dies. Its absence indicates lack of viable nematodes in a sample. 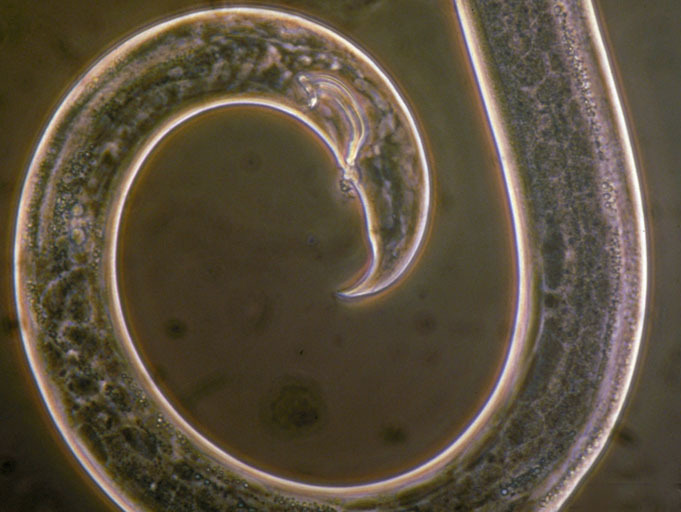 “It’s important to have a method to differentiate between deal and live nematodes, because only live nematodes are a risk to forest health,” says Leal. Many major wood-importing countries, including China, Korea and Europe, require all softwood commodities exported from countries where pinewood nematode is found be treated prior to export with heat according to international standards. Leal and colleagues’ method will allow plant health officials to test and verify the effectiveness of treatments against the damaging nematode. The method will also protect trade, by allowing exporters to demonstrate that their softwood lumber, chips, logs, prefabricated housing and wood packaging is free of living nematodes.